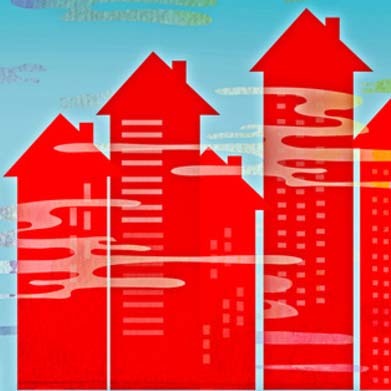 Private home resale prices fall in January 2012... again! Prices of resale private homes dipped by 0.4% in January, according to the Singapore Residential Price Index (SRPI) flash estimate published by the Institute of Real Estate Studies at the National University of Singapore. It is the second straight month of decline, after resale prices fell by 1% in December. The SRPI for January showed that resale prices for private homes in the central area fell 1.9% while prices of small units dropped by 1%. Meanwhile, prices of resale units outside the central area climbed 1% in January. Releasing the data, the Institute of Real Estate Studies says the Additional Buyer's Stamp Duty announced by the government on December 7 has had some impact on home prices. For the next few months, industry players said prices for resale private properties are likely to soften slightly. They say transaction volume in the secondary market has been slowing since last year. Donald Han, Special Advisor at HSR Property Group said, "Transactions for resale non-landed private homes fell from 24,000 in 2010 to 16,000 in 2011. Moving into the first quarter of 2012, in terms of transaction volume, the bulk of the activity is likely to be dominated by new units." According to the Urban Redevelopment Authority, 1,872 units of new homes were sold last month. The strong sales for January was driven by mass market projects like Watertown, The Hillier and Parc Rosewood. Mr Han added, "More home buyers are now looking at the primary market, they are drawn by the appeal of newer developments as well as discounts offered by developers for example. People have more confidence in the market in the mid to long term, and they feel that by the time the units are completed, perhaps they could see an appreciation in value." Despite the slower sales in the resale private property market, analysts say prices will not fall drastically. Mr Ong Teck Hui, Head of Research and Consultancy at Credo Real Estate said, "I don't think we will see big price cuts if the economic conditions do not deteriorate badly. For the first quarter, we expect overall resale prices for private homes to remain flat or just marginally negative." 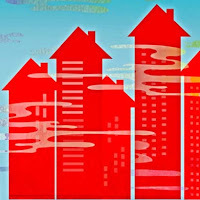 10 comments to ''Private home resale prices fall in January 2012... again!" I think prices will be sticky downwards. Owners will still demand the high prices unless the property relate to distressed assets. My assessment is that there is real domestic demand from 1947-64 baby boomers' kids who are now in age of getting marry. This is a big group n translate into yearly demand of 15k of private residential units for nx 5 years. The correction If any, would be a mild one. I think price will definately trend downwards. Signs are there for us to see. Micky mouse units. In property sector, real demand can only be delayed but not curbed. If the Singaporr economy does not fall out of cliff, then the domestic demand will still keep the price as it is, it will not collapse. It is the best time for gov't to make big money w GLS as land price will still be high w underlining demand. The market will provide real ans in six mths time. I do not think market will collapse. But slight correction. 1. Knee jerk reaction to Absd not caused big prices correction. 6. Greek dept resolved. Only way is towards slow recovery. Buyers must be selective and invest in the right property and study potential upside comparing with other nearby properties. Greece has not resolved its problems? Portugal and Spanish acquisition (inquisition) also coming up. But the ECB is doing QE and flooding the market with liquidity...Seems like the Westerners take turns. QE will mean asset inflation. But the SG govt may not allow the property mkt to freely float as SG property face political risks of govt intervention eg :ABSD. The equation is mind boggling. Have fun! let those are holding inventories, comments, how 's the resale market doing, what i observe, asking price is already coming now, just zoom in a few properties, if you're offloading one now, how many actually real keen and give u an firm offer? The agent said..."this month ( feb 2012) the market picked up again. I already done five transactions. My agency boss too! So you better quickly buy if u really like unit before the market moves up. The foreigners can't wait already!"